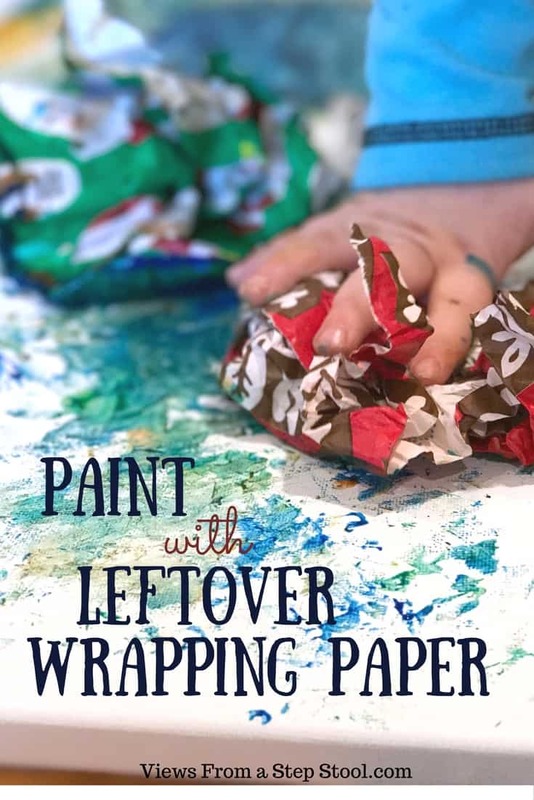 There is always so much leftover wrapping paper after the holidays or birthday parties. It’s a shame to just quickly toss it in the trash without re-using it somehow. There are many great ideas for using up this paper (and some of it is SO pretty!). 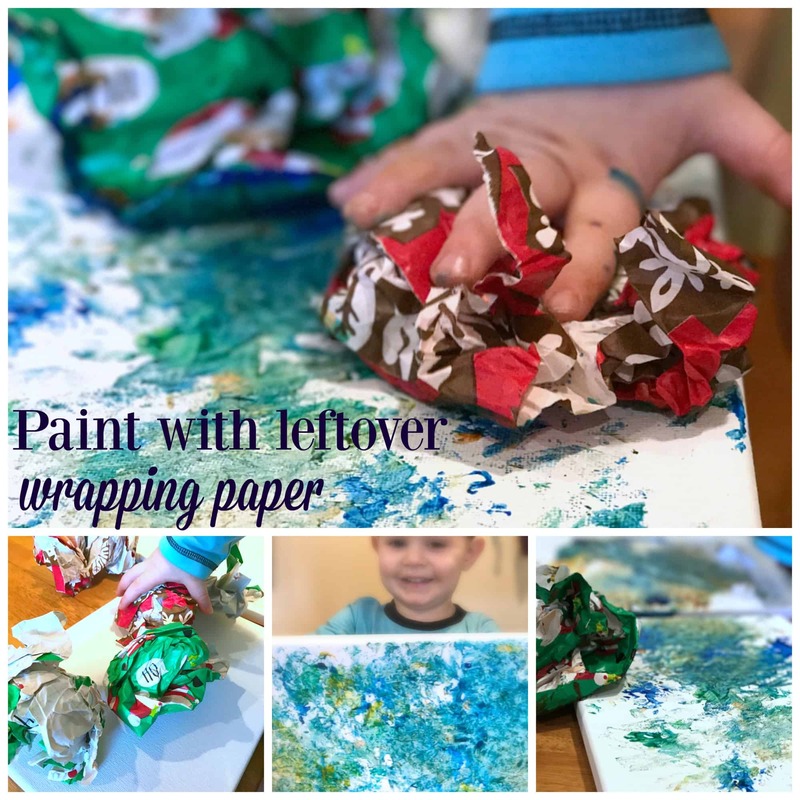 Check out how we like to paint using leftover wrapping paper, and take a peek at the bottom of this post for some more ideas! 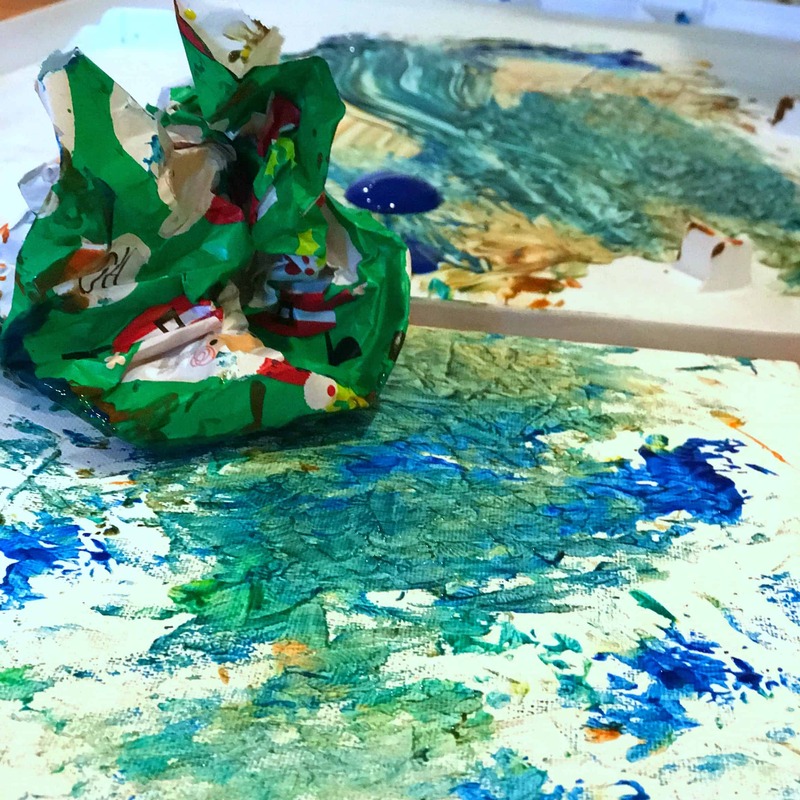 We did this activity with some old wrapping paper that had been wadded up into balls. My 19 month old went crazy and loved every minute of it! Crumple the leftover paper into balls. Pour paint onto a tray or plate. Dip the wadded paper into the paint. Stamp onto a blank canvas or piece of thick paper! This type of art is all about the process and less about the finished product. 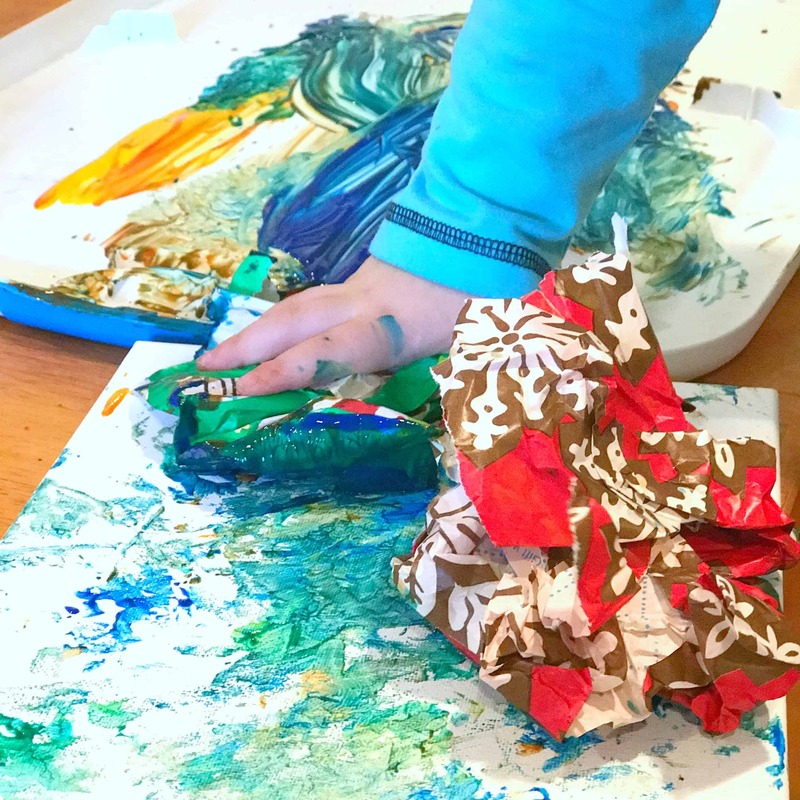 Through art and hands-on activities, kids are able to explore the materials with their senses, imagining and creating as they please. 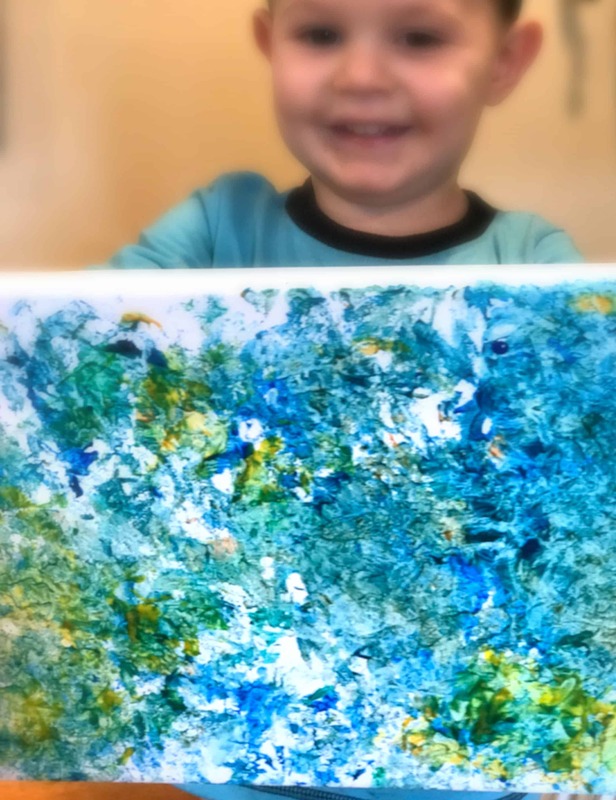 With less of a focus on the end result, kids are free to create as they please, which is a truly beautiful thing. My little ones loved listening to the crumple of the paper as they created, it was like music while we painted! 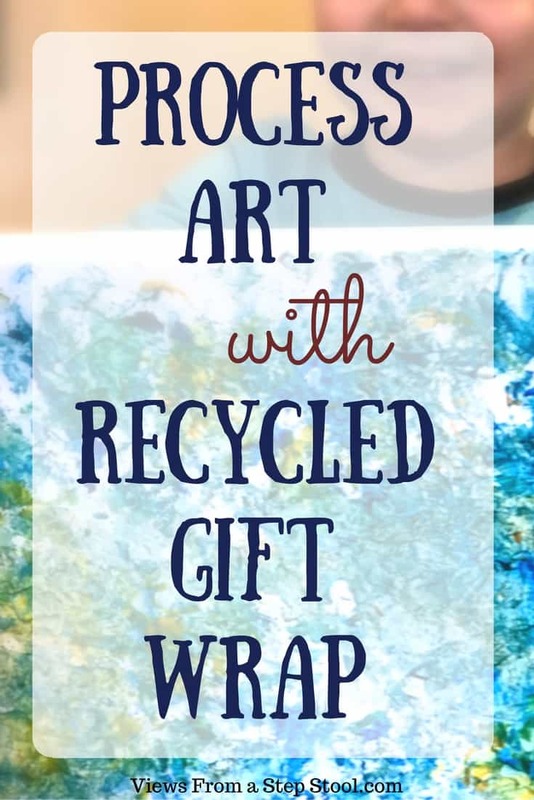 Like process art? 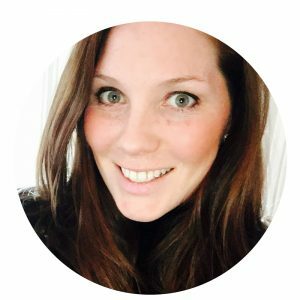 Don’t leave before checking these out!